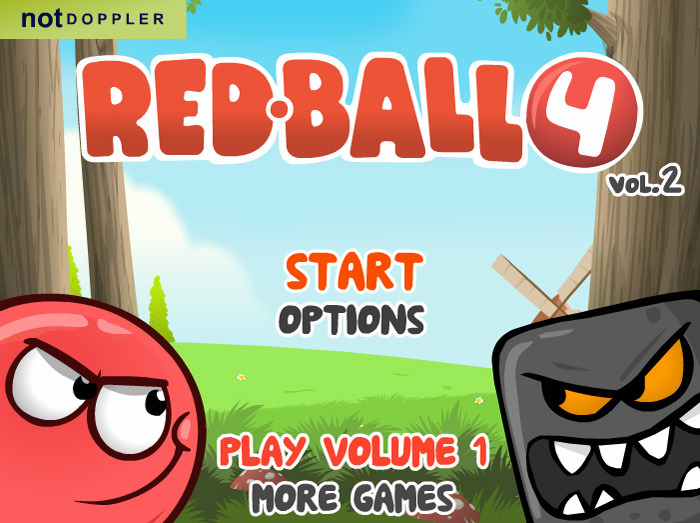 Play the new, action-packed adventure game, Red Ball 4 Volume 2! In Volume one, you thought you defeated Black Square and taught him the error of his ways – but guess what? He’s back, and more vengeful than ever! He’s up to his old tricks, transforming red balls throughout the nation into black squares to take over the world. Defeat him once again to save the country! 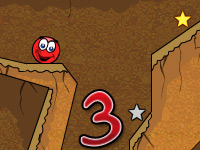 You play as Red Ball, ruler of the foreseeable lands and tasked with keeping your subjects safe and sound at all cost. As you learn that Black Square is back and up to his mischevious ways again, you are tasked with defeating him and his loyal, evil subjects. Collect gold stars, complete achievements, and kill as many black squares as you can to score points and reach the big boss – Black Square. The controls in Red Ball 4 Volume 2 may seem familiar to players who have played any of the previous versions. 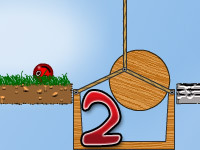 Use the left and right arrow keys or the A and D keyboard keys to direct Red Ball left and right throughout each level. 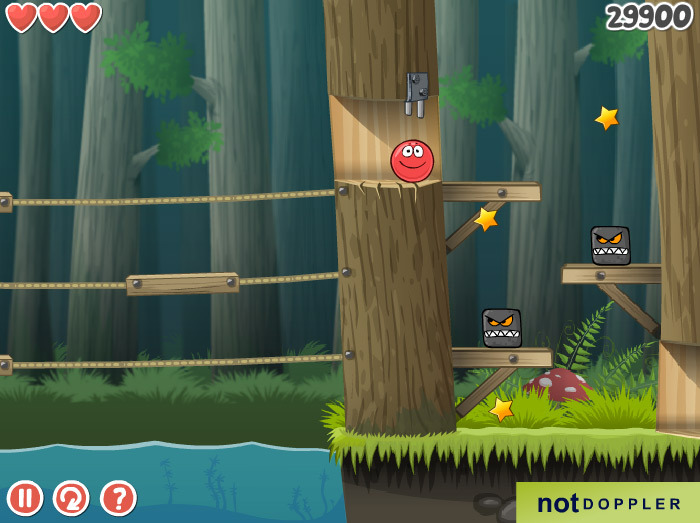 Press the W key or the up arrow to make Red Ball jump in the air to jump over obstacles or onto high platforms. The S and down arrow keys will help slow Red Ball down enough to come to a stop. Additionally, pressing the P key allows you to pause the game and loads the options menu to allow you to restart the level, return to the main menu, and adjust the sound effects and music volume. 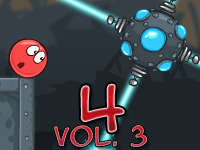 Similar to before, this game offers 15 highly challenging levels to complete. 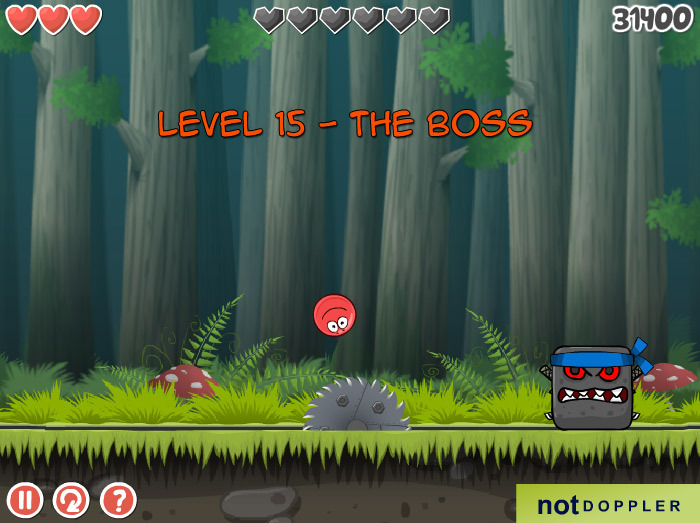 Complete each level by killing the black square minions and reaching the flag at the end. Score points along the way, but be careful not to lose too many lives. If you touch a black square minion without killing it, or if you touch various death trap obstacles, you will lose a life and have to restart the level from the previous checkpoint. You only have three lives to spare, so be careful! 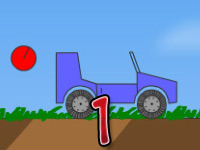 In Volume one, you were introduced to various achievements that you could complete in order to score more points throughout each level. Players loved this idea so much, that the developers re-introduced this feature again in Volume 2! As before, you have 16 achievements that you can earn. Each achievement boosts your overall score at various rates: some give you an extra 500 points, while others give you 1,000 or even 5,000 points! Bronze, silver, and gold medals are achieved based on how well you perform through each level and how many points you earn per level.